A Star is Born is yet another remake of the classic 1937 film of the same name and follows Jackson Maine (Bradley Cooper) who discovers a struggling singer Ally (Lady Gaga) and helps her find fame whilst also fighting his own personal battles. As well as starring as the lead, Bradley Cooper directs the film and he has done a beyond exceptional job telling this emotional and deeply moving love story for his directorial debut. The story is one that hooks you in early with the introductions to the two leads which give you all you need to know about them for the time being. They are both well fleshed out over time and the way their relationship develops through the story is thoroughly engaging and full of emotional highs and lows. Because you care about these two so early you feel like you are along this journey with them and it definitely plays on your emotions in a very natural way. A romantic tale between these two individuals who share a special loving bond but have so much going on in their lives that they strive to work through things together. I loved all of the subplots that drop in and out linking to previous scenes and it all runs very smoothly. I cared about the characters, the story, the relationship, all of it had me hooked and I couldn’t look away. The plot progresses at a moderate pace, never too quick and definitely doesn’t feel like it’s dragging at any point. Music scenes are broken up by emotional dialogue and character development sequences and vice-versa making it a very balanced experience. Speaking of the music, the songs in here whether they are from the vocals of Bradley Cooper or Lady Gaga are just beautiful. There are a number of great ones to where picking a top three would be tough. They’re all integrated into the story in a fluid way that doesn’t feel like they’re just thrown in at any moment. Each song plays into the story, and the lyrics add to the emotional weight of certain sequences that are both uplifting and distressing. The lead performances from Bradley Cooper and Lady Gaga are beyond exceptional and the chemistry they exhibit throughout the movie is brilliant. Bradley Cooper is an actor with a vast filmography of great performances but he plays this very emotionally complex character so well it is one of his best. His character in the film is dealing with alcoholism along with a number of other battles and Cooper plays this side of the character so well it blended the lines between what’s real and what’s a performance. He is so captivating in every scene that you completely buy into this character and get behind him as if he is a real person fighting real difficulties. And then on the other side you have Lady Gaga who out of nowhere has delivered one of the finest performances of the year. The raw emotion she brings to the role will no doubt move you to the brink of tears and at times put a smile on your face. In what is really her first starring role in a film she kills it and is enthralling to watch more and more as the story progresses. Sam Elliott has a smaller supporting role as the brother of Bradley Cooper’s character and even he has some great smaller moments shared with Cooper that had me very invested in their relationship. There’s not really much else to say here, there’s nothing that stood out as something I disliked so A Star is Born is one of the best movies of the year and the strongest love story of 2018 so far. The performances from Cooper and Gaga are exceptional and drive the plot forward in directions you won’t see coming as long as you are a newcomer to the story. Their relationship is a complex one that takes you through a rollercoaster of emotional highs and lows from scene to scene. Bradley Cooper’s directing is what really brings everything together amazingly well and he proves he’s definitely got talent outside the world of acting. 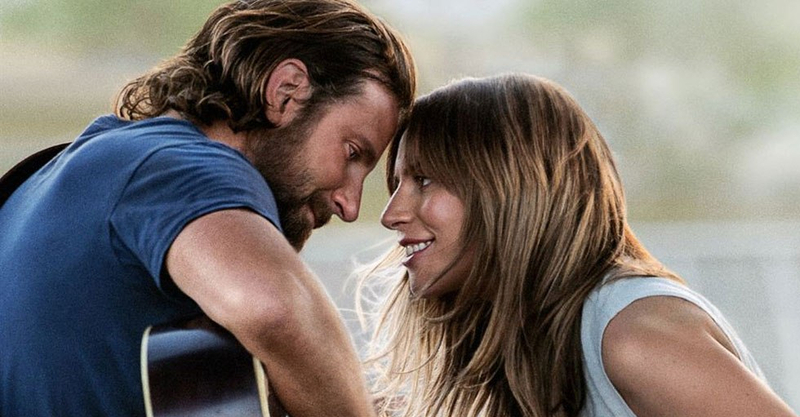 The music is the heart and soul of the film delivered fantastically by Cooper and Gaga, I can’t pick out a song that doesn’t work with where the story is at the time. For fans of country music, or a compelling love story, or if you just love seeing Lady Gaga perform this is absolutely a must-see film.